Our team of qualified employees of the Quality Assurance Department ensures high level of production hygiene compliant with the requirements set out by the health service and HACCP norms by constant monitoring, raising awareness and perfecting the quality assurance systems. 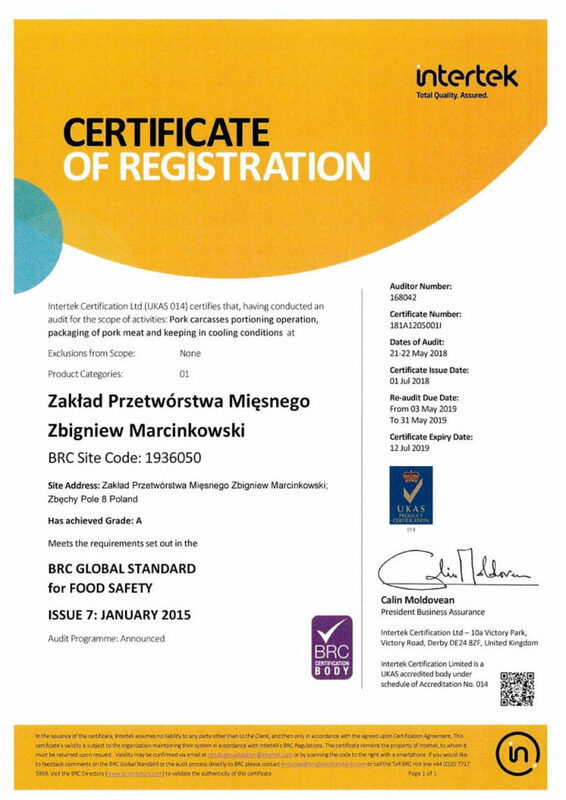 We are aware of the fact that the standards implemented and effective in our company, i.e. 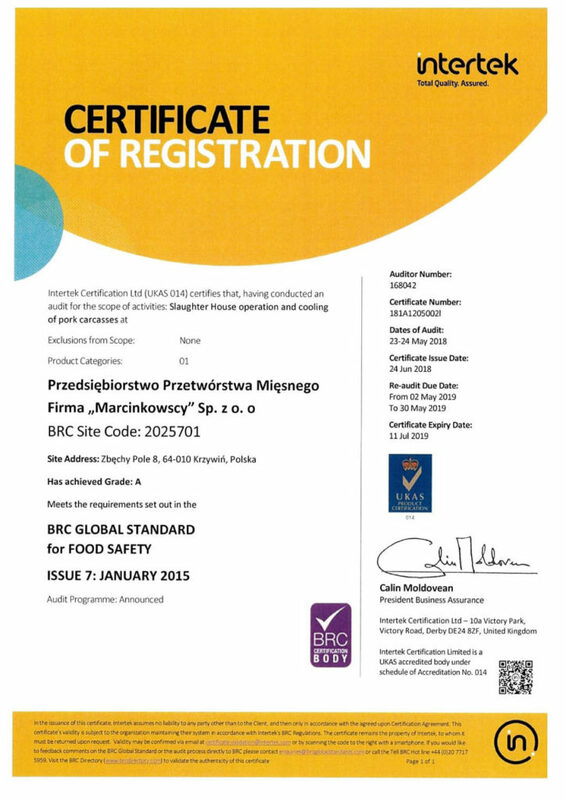 HACCP norms and the BRC standard, constitute tools designed to gain our customers’ satisfaction and win their full trust as regards the products offered by our company. The specific standards of slaughter allow to preserve animal welfare and obtain top quality meat in the process of slaughter. 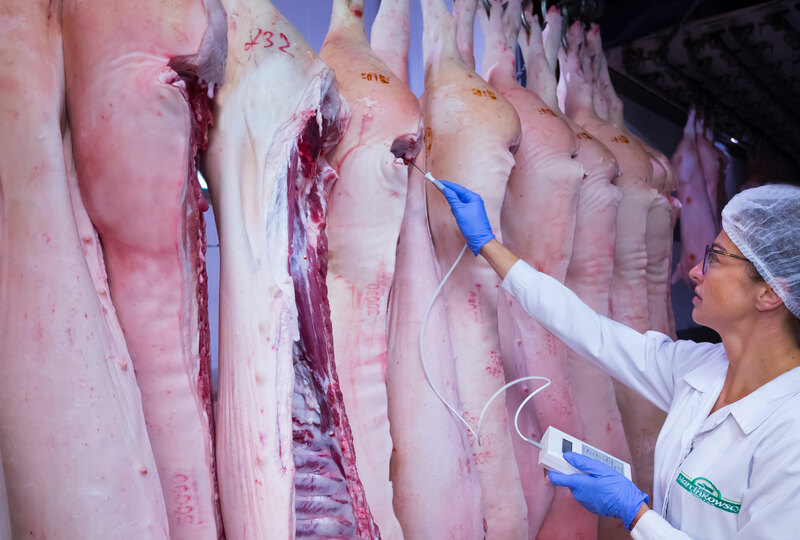 The implementation of modern labour management methods and constant education in the field of standard preservation allows us to obtain supreme meat efficiency of top quality meat. Every day, we use our knowledge, experience and resources to provide our customers with products that meet their expectations.